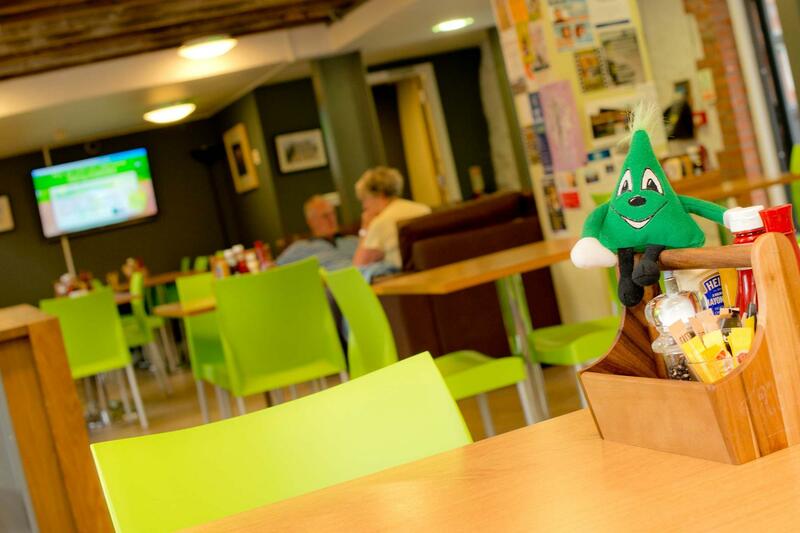 I visited YHA in Berick-upon-Tweed recently with my best friend who was a coeliac. The gentleman at the desk in the morning who prepared our breakfast was brilliant. Friendly and super knowledgable and understanding about her dietary requirements. Made her a most superb gluten free breakfast! We couldn't have been more pleased! Located on the quay-side beside the river Tweed, YHA Berwick is a unique Youth Hostel, with a Tower of Pisa-like lean! The hostel is well-situated for walking, cycling and beach-based activities, as well as trips to towns both north and south of the border, including both Newcastle-upon-Tyne and Edinburgh. It also boasts the Granary Bistro, a café and restaurant-come-event hosting venue, and a spot which allows like-minded visitors to chat and engage with each other’s stories over a drink or a bite to eat. YHA Berwick boasts fabulous original features combined with a modern budget accommodation experience. Ideal for cheap UK coastal breaks or as a base for activity and family holidays in Northumberland, the Youth Hostel has 55 beds across 13 bedrooms, all with en-suite facilities, some of which are private and family rooms, a trendy café/bistro and is situated in a perfect location, close to the historic town centre of Berwick-upon-Tweed. The Granary Bistro is a great venue which hosts open mic nights, comedy clubs and live music events, all in the heart of Berwick. Check the What's On tab for a list of upcoming events at the Granary Bistro. If the bistro is looking busy, there is extra seating on the mezzanine level and some comfortable seating in the lounge which is perfect for relaxing. The Granary Bistro provides a contemporary, relaxed and cosy atmosphere in the heart of this bustling market town. Offering a broad selection of delicious food, alongside a range of freshly made hot drinks and a well-stocked bar. Open daily to guests and passers-by, let us welcome you to rest your legs and indulge your senses after the day’s adventure. Watch history being uncovered during archaeological excavations. Sample Northumberland produce from the tea rooms. Spot the scenes where L.S. Lowry painted his matchstick men. The famous painter visited Berwick many times and this picturesque trail is a fantastic way to explore the town. Lindisfarne is famous both for its medieval religious heritage and its picturesque 16th century castle. Lindisfarne Priory sits offshore on Holy Island and is reached by causeway at low tide. The peaceful atmosphere makes a visit well worth the effort. A range of boat trips including the special grey seal cruise, Holy Island cruise and various bird-watching trips. Berwick has been sacked or captured 13 times; these epic walls were built to keep out the invading Scots. Spend a day walking along them and get a great view across the town and stunning estuary. Berwick is the ideal destination for cycling and walking holidays in Northumberland. Turner: Northern Exposure is a major new exhibition of works by JMW Turner, one of the most renowned of English Romantic artists. Parking: YHA Berwick have on-site car parking. Pets: Pets are not permitted at YHA Berwick. Assistance dogs are welcome. At YHA Berwick we have two meeting rooms which are both of a similar size. Capacity: Up to 24 delegates depending on seating configuration. Available Equipment: Projector, 2 x flip chart and pens and 2 x projector screens. Parking: There is on-site parking available. Accessibility: Our meeting rooms are both on the first floor. There is step-free access to enter the hostel, and step-free access to the first floor via a lift. The closest accessible WC is located down the corridor on the same floor. For more information please see our full access statement. Steeped in history, Berwick has ramparts to explore and also offers some breath-taking views from its Elizabethan town walls. YHA Berwick itself is housed in a 240 year old restored granary. The lowry trail around the town. Follow the mapped route around Berwick which takes in some of the famous sites that Lowry immortalised in his paintings. This is a great way to spend a day seeing the town, taking in some of the wonderful scenery. Holy Island. Take a trip to the world famous pilgrimage site and spend a day exploring the island and the fantastic surrounding beaches. The Maltings. For all you culture vultures, why not take in a show at the Maltings theatre. Whether it be a famous comedian, a performance by a touring theatre company or a musical performance, the Maltings has something for all ages all year round. The Curfew Micro Pub. A must visit for all real ale fans. This friendly, cosy and unique little pub is only a small hop from the hostel and will allow you to sample some of Europes finest beers as well as the famous local banter.